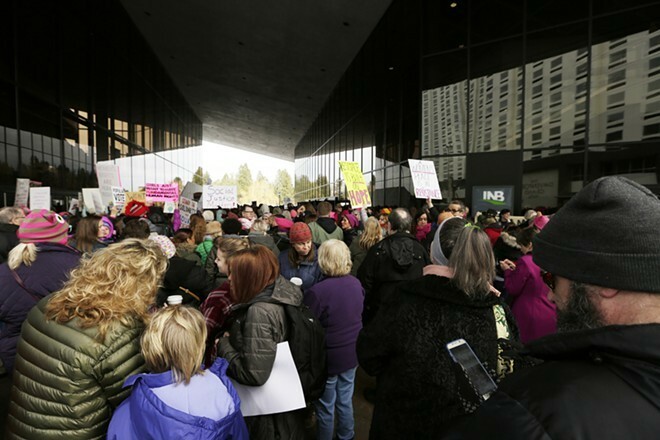 Washington DC is hosting a pro-life march today, just a few days after Women's Marches swept the country, like this one in Spokane. FILM: The Spokane International Film Festival kicks off tonight with its opening gala and a screening of Rich Cowan's The Basket. SPORTS: The Zags are still undefeated after crushing San Diego (79-43) last night, and are chasing a No. 1 ranking. THEATER: Stage Left Theater delivers a production of Disgraced, a Pulitzer-winning play tackling race and religion through some brilliant dialogue.